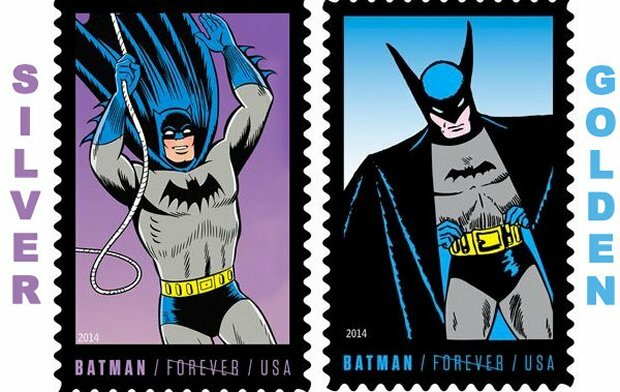 USPS Batman Forever Stamps: Dunna Nunna Nunna Nunna… Batstamps! 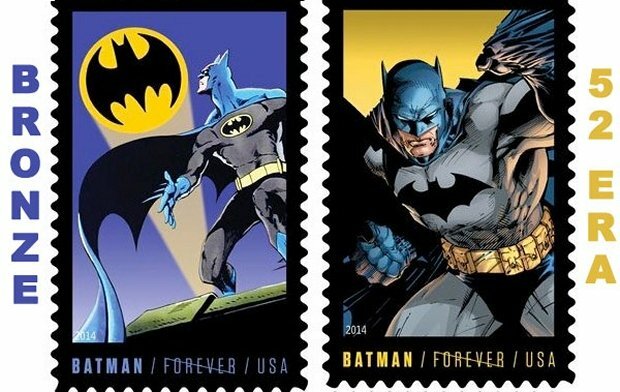 When they say Batman Forever, they mean that these Batman stamps can be used forever, not Batman Forever as in Val Kilmer as Bruce Wayne. The USPS would never honor that – at least I hope not. DC Comics is continuing to celebrate the 75th anniversary of Batman, this time by releasing some beautiful themed stamps. Eight designs depict four eras from Batman’s history and they cost $0.49(USD). They will be sold in sheets of 20. You won’t have to wait forever to get some either.They will be available on October 9th at the start of New York Comic Con. When you think about it, Batman is a lot like the USPS. Neither rain, sleet or snow will stop him from his job.